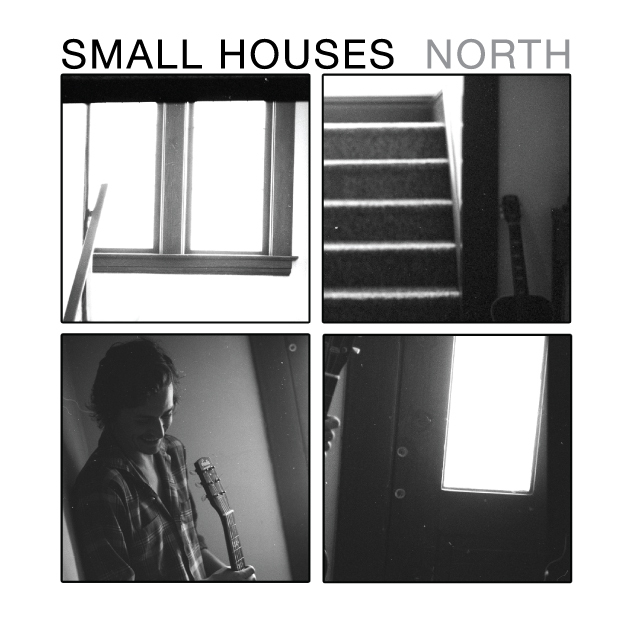 Small Houses dropped the new album North this weekend, and pre-release reviews have said the record has songs that are “hair-raisingly beautiful, some of the vocal interplay is incredible, and the musicianship is wonderful” (Metro Times) with the overall vibe described as “ethereal, quiet and beautiful” (LansingMusicTV). For this record, mastermind Jeremy Quentin collaborated with a great roster of musicians including Chris Bathgate, Samantha Crain, and members of Frontier Ruckus among many others. The band is on a run of dates supporting the CD release that will see Small Houses (fleshed out for the live dates with a full band including GTG pal John Davey on bass guitar and a wicked drummer/ keys/ etc player named Adam Danis) hit the Great Lakes states, the east coast, the tip of the south, and the midwest over the course of the rest of October and the beginning of November. A complete list of shows, as well as samples from the new album, can be found over at the official Small Houses website. The album will be available for sale on this site real soon. Some more press has been creeping in for some of the great GTG releases of the summer. Drinking Mercury‘s autumn-fresh album Orcades (did you order one yet?) was called by super hip entertainment blog Idle and the Bear “an amazing combination of different sounds and harmonies. This entire album was great.” This same fine site also reviewed Josh David and the Dream Jeans‘ Can You Believe We Landed on the Moon? describing it as “very raw and powerful. It’s rough, it’s experimental… It’s kickass.” Finally, Revue magazine did a write-up on the Narc Out the Reds 7-inch single (despite being labelled a “CD review”), declaring it “catchy rock-and-roll tunes with a lot of twists and turns” and complimenting the band for laying “down a nice, tight bed for the songs to sit on.” Nick work everybody! The Hat Madder and Stargrazer are also both nearing completion on full-length albums – a sample of some of the new material from the former can be found in the new 3D (oh man!) video for new Hat Madder song “Mayflies,” which you can view here. Honah Lee in the meantime has revamped their website, and it’s pretty nifty. Check it out for all of your Honah Lee needs, including their many show dates throughout New Jersey, Pennsylvania, New York, Maryland, both Virginias, and Massachusetts. Preliminary reports have the boys coming to the midwest in January, so… stay tuned. Finally, we just got the new pressing of The Plurals Today, The Plurals Tomorrow: A Futurospective in the mail, which means we can take orders of that again. It also will soon be available all over the internet on itunes, Amazon, and all of those things (and it’s already on bandcamp) so there’s no excuses. The new pressing is just like the old pressing, except that we didn’t rush the order through a crappy company that pumps out defective CDs and doesn’t believe in customer service (*cough*KUNAKI*cough*) and we can still confidently say it is the best Plurals music out there. To further flog the dying horse The Plurals are heading on tour again at the end of October (starting on October 20th at Mac’s Bar in Lansing with Japanese noise legends Melt Banana) through the midwest, dipping into Colorado, and then jogging over to the east coast. Dates are still being posted, but the confirmed shows are listed here. GTG!